We now know what month the eighth and final season of Game of Thrones will premiere: April. But that’s it! No date, no Sunday night to start planning for, just April. A lot of us thought Season 8 might not happen until summer 2019, since Season 7 premiered in July of 2017. 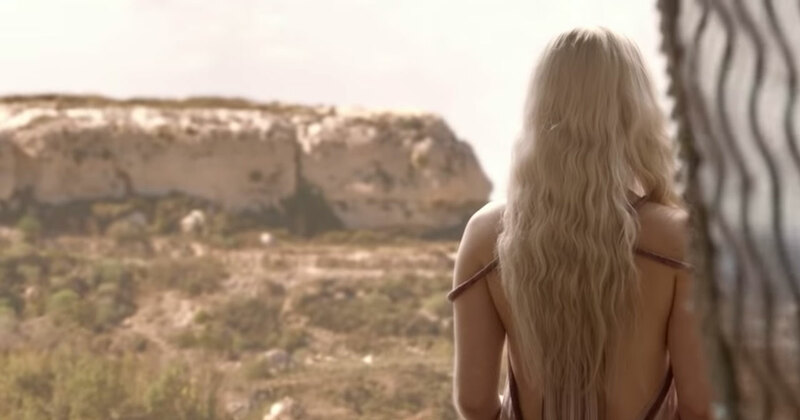 But looking back, Game of Thrones typically began new seasons in April, with the exception of Season 3 which premiered on March 31 (which, for all intents and purposes is pretty much April). What’s in the new teaser? A lot of backs. Yes, the new teaser starts with several main character’s turned away from the camera. We first see the back of Jon Snow (Kit Harington), then Daenerys Targaryen (Emilia Clarke), and finally Cersei Lannister (Lena Headey). Cersei’s is the first face we see from the front view, and one might wonder if there could be any clues found in that sequence. Will Cersei be the first to die? Or, the last remaining heir of the Iron Throne?